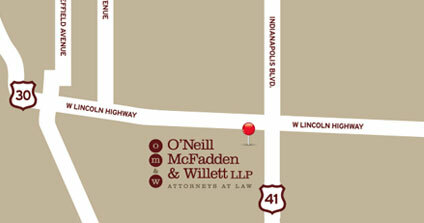 Mike O’Neill is an experienced trial lawyer with more than 27 years of civil trial and appellate experience. He holds an AV® Peer Review Rating from Martindale-Hubbell, its highest rating for ethics and legal ability, and has been repeatedly selected as an Indiana Super Lawyer®. In 2016, the Defense Trial Counsel of Indiana presented Mr. O’Neill with DTCI’s Defense Lawyer of the Year Award. Mike O’Neill focuses his litigation practice in the areas of professional liability, including the defense of Physicians, Hospitals, Lawyers and Accountants, as well as complex commercial litigation and general liability matters involving catastrophic personal injuries. He has tried bench trials and jury cases to verdict involving obstetrical, gynecologic, urologic, orthopedic, pulmonology, neurosurgical, ophthalmologic, otolaryngology, infectious disease, emergency medicine, radiology, family practice, pediatric, nursing, dental and complex surgical matters, as well as legal malpractice, premises liability, wrongful death, business disputes and construction accident cases. Mike is also a frequent speaker at CLE and Risk Management seminars for physicians and lawyers. 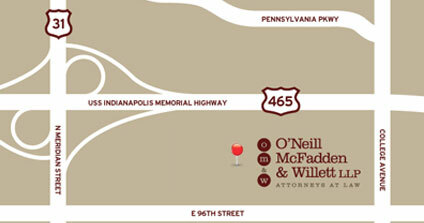 Mike O’Neill is a founder and the managing partner in the law firm O’Neill McFadden & Willett LLP in Schererville, Indiana. 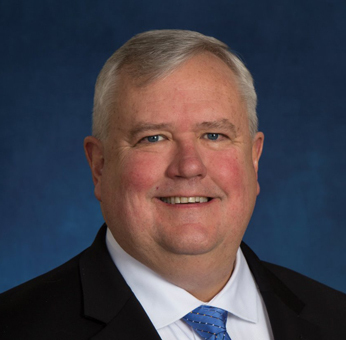 Prior to starting his firm, Mike O’Neill was a partner at a national law firm, Hinshaw & Culbertson LLP, where his practice focused primarily on large exposure litigation defense, professional liability defense and risk management services to professional organizations. He is licensed to practice law in both Indiana and Illinois. Wallick v. Inman, Marion County Superior Court, Indianapolis, Indiana. September 14 – 26, 2018. Defense Verdict. Boyd v. Kaul and Wack, Marion Superior Court, Indianapolis, Indiana, September 25 – October 5, 2017. Defense Verdict. Shaw v. Sundaram, Marion Superior Court, Indianapolis, Indiana, April 17 – April 25, 2017. Defense Verdict. Perez v. Hu, Lake County Superior Court, Crown Point, Indiana, October 31 – November 4, 2016. Defense Verdict. (Judgment reversed on appeal and awaiting a new trial date). Barton v. Gabriele Eye Institute, Inc., St. Joseph County Superior Court, South Bend, Indiana, August 8 – August 12, 2016. Defense Verdict. Reed v. Obstetrics & Gynecology of Indiana, Hamilton County Superior Court, Noblesville, Indiana, July 25 – July 29, 2016. Defense Verdict. McCammon v. McGlothan, Hamilton County Circuit Court, Noblesville, Indiana, February 2 – February 5, 2016. Defense Verdict. Fisher v. Kim, Vigo County Superior Court, Terre Haute, Indiana, November 30 – December 3, 2015. Defense Verdict. Dunham v. Kucharzyk, et al., Lake Superior Court, Crown Point, Indiana, October 19 – 28, 2015. Defense Verdict. Barfield v. Methodist Hospital, Lake Superior Court, Crown Point, Indiana, June 16 – 19, 2014. Defense Verdict. Lane v. Mercho, Vigo Superior Court, Terre Haute, Indiana, March 31 – April 4, 2014. Defense Verdict. Cooley v. Yoon, et al., Lake Superior Court, Crown Point, Indiana, November 18-26, 2013. Defense Verdict. Katsaros v. Loeb, et al., Jasper Superior Court, Rensselaer, Indiana, September 23-October 2, 2013. Defense Verdict. Dallas v. Ylagan, Porter Circuit Court, Valparaiso, Indiana, September 24-28, 2012. Defense Verdict. Dickson v. Zonakis, Porter Circuit Court, Valparaiso, Indiana, July 16-20, 2012. Verdict for Plaintiff. Teets v. Karpik, Lake Superior Court, Crown Point, Indiana, August 30-September 2, 2011. Defense Verdict. Robinson v. Carter, Lake Superior Court, Crown Point, Indiana, September 26-30, 2011. Verdict for Plaintiff. Guenther v. Bowers, Lake Superior Court, Hammond, Indiana, February 22-March 1, 2010. Defense Verdict. Estate of Crawford v. Volkman, Lake Superior Court, Gary, Indiana, June 21-25, 2010. Hung jury. Estate of Jerkan v. Cortez, Lake Superior Court, Hammond, Indiana, August 9-16, 2010. Defense verdict. Roldan v. Ham, Lake Superior Court, East Chicago, Indiana, November 29-December 2, 2010. Defense verdict. Spear v. Nootens, Lake Superior Court, Hammond, Indiana, June 1-4, 2009. Defense Verdict. Harris v. Stang, Lake Superior Court, Crown Point, Indiana, April 27-30, 2009. Defense Verdict. Estate of Kissel v. Lomax, Hamilton Superior Court, Noblesville, Indiana, March 9-11, 2009. Our client dismissed with no payment made on third day of jury trial. Curry v. Friedenburg, Marion Superior Court, Indianapolis, Indiana, February 3, 2009. Case dismissed during jury selection. Estate of Aiken v. Cooper, Marion Superior Court, Indianapolis, Indiana, December 9-15, 2008. Defense Verdict. Guenther v. Bowers, Lake County Superior Court, Hammond, Indiana. December 1-8, 2008. Hung jury at conclusion of deliberations. (Re-tried to a Defense Verdict in February, 2010). Estate of Smith v. Johnson, Porter Superior Court, Valparaiso, Indiana, August 25-September 2, 2008. Defense Verdict. Estate of Jernigan v. Pirtle, Lake Superior Court, Crown Point, Indiana, July 28-August 1, 2008. Verdict for plaintiff’s Estate in the amount of $15,000. Sedden v. Nichols, Marion Superior Court, Indianapolis, Indiana, January 25-31, 2005. Defense Verdict. Estate of Scott v. Pediatric Surgery, Inc., Marion Superior Court, Indianapolis, Indiana, April 18–27, 2005. Defense Verdict. Mubarak v. Rougraff, Marion Superior Court, Indianapolis, Indiana, September 12-14, 2005. Case dismissed by plaintiffs with prejudice on third day of jury trial after court took motion for directed verdict under advisement. P.K.B. v. G. & A., 65 N.E.3d 1114 (Ind.Ct.App. 2016)—Affirming summary judgment in favor of a law firm in a professional liability claim. Moryl v. Ransone, 987 N.E.2d 1159 (Ind.Ct.App. 2013), trans. granted. 4 N.E.3d 1133 (Ind. 2014). Carter v. Robinson, 977 N.E.2d 448 (Ind.Ct.App. 2012), transfer to Indiana Supreme Court denied. Price v. Kuchaes, 950 N.E.2d 1218 (Ind.Ct.App. 2011). Wallace v. McGlothan, 606 F.3d 410 (7th Cir.2010). “The Legal Malpractice Action – The Labyrinth of a Case-Within-A-Case” published in The Indiana Lawyer, Volume 28, No. 18; November 1-14, 2017. Webinar (National audience), DRI and the Florida Defense Lawyers Association, June 2016. Webinar (National audience), DRI and the Florida Defense Lawyers Association, January 2016. A CLE Presentation, Goshen City Bar Association, November 12, 2015. CLE Seminar, Ritz Charles, Carmel, Indiana, July 22, 2015. CLE Seminar, Northern Illinois University’s Hoffman Estates, Illinois campus, June 16, 2015. Seminar, Indiana Dental Association’s 2015 Annual Meeting, French Lick Springs Report, French Lick, Indiana, June 11, 2015. CLE Ethics Conference, Elkhart County Bar Association, Goshen, Indiana, November 13, 2014. Seminar, St. Joseph College Seminary at Loyola University, Chicago, Illinois, October 27, 2014. CLE Seminar, Ritz Charles, Carmel, Indiana, July 15, 2014. Seminar, St. Joseph College Seminary at Loyola University, Chicago, Illinois, October 28, 2013. CNA Partners’ Conference, Amelia Island, Florida, October 16, 2013. Medical Protective Risk Management Seminar, Indianapolis, Indiana, October 2, 2013. CNA Risk Management CLE Seminar, Indianapolis, Indiana, July 24, 2013. Published in the Attorney Pro Ally Newsletter, Issue #13, Summer 2013. Attorney Protective Risk Management Webinar, June 11, 2013. CLE Ethics Program, Goshen, Indiana, November 8, 2012. Munster, Indiana, October 29, 2012. Risk Management CLE. Indianapolis, Indiana, September 12, 2012. CNA and Pearl Insurance Risk Management CLE. Seminar, Indianapolis, Indiana, July 25, 2012. Medical Protective Company. Indianapolis, Indiana, May 2, 2012. CNA Risk Management CLE Webinar, February 28, 2012. Attorney Protective Webinar, January 10, 2012. Goshen City Bar Association. Goshen, Indiana, November 10, 2011. Risk Management CME. Indianapolis, Indiana, October 11, 2011. Risk Management CLE. Indianapolis, Indiana, July 27, 2011. Risk Management CLE. Munster, Indiana, May 18, 2011. Risk Management CME. Indianapolis, Indiana, May 11, 2011. CNA and Pearl Insurance. Indianapolis, Indiana, July 2010 and via live webcast, August 2010. Medical Protective Company. Indianapolis, Indiana, March 2010 and Hammond, Indiana, May 2010. 9th Annual Legal Malpractice & Risk Management Conference. Chicago, Illinois, March 2-4, 2010. WestLegalEdcenter live webcast. January 2010 and May 2010. Goshen City Bar Association. Goshen, Indiana, November 2009. CNA and Pearl Insurance. Evansville, Indiana, October 2009; Carmel, Indiana, July 2009; and Munster, Indiana, May 2009. OrthoIndy. Indianapolis, Indiana, March 2009. West LegalEdcenter live webcast. March 2009. CNA and Pearl Insurance. October, September, July, and May 2008; October, September, July, and May 2007; October, September, and July 2006. CLE Presentation. Chicago, Illinois, June 2008. CLE presentation, Midwest Lawyers, LLC. Chicago, Illinois, May 2008. CNA Insurance. Chicago, Illinois, May 2008. ProAssurance Group. Indianapolis, Indiana, November 2007. ProAssurance Group. Indianapolis, Indiana, October 2007. ProAssurance Group. Merrillville, Indiana, May and June 2007. St. Anthony Hospital Quality of Care Symposium. Crown Point, Indiana, May 2007. ProAssurance Group. Muncie, Indiana, April, May and June 2006.
published in The LawyerCare Newsletter, Volume 9, Number 2, September 2008. In 2007 Mr. O’Neill was appointed to serve on the Board of Advisors to St. Joseph College Seminary at Loyola University of Chicago. In April 2009, St. Joseph College presented Mr. O’Neill with its annual “Wall of Fame” alumni award.